Press who are in the know about this London synth-rock/neo-goth outfit adore them, but their current whereabouts right now are unknown. All social media traces of them have disappeared bar their website, but even that only features a full-screen YouTube video. I can only assume they’ve disbanded, which is a tragedy for fans of icy, vengeful synth-dominated rock, that poured attitude and an arousal into the heart of darker electronica. I already have written about this band on three occasions, my personal favourite here. They chose three words: icecold, staticvenom and speedhate to describe their music and it’s spot on. 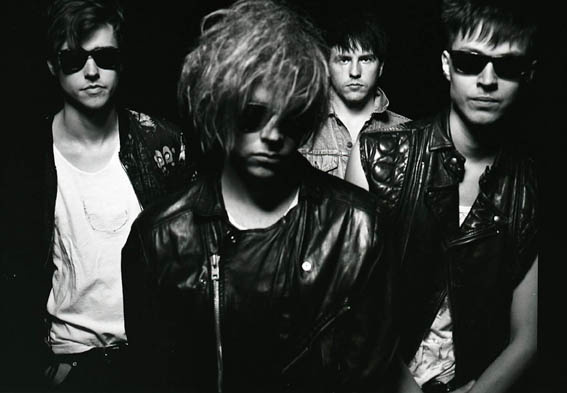 While politically charged and taking square aim at mass media, there’s a lingering Sisters of Mercy flavour in their palette, yet the flirting with pseudo-industrial and the unmistakeable 80’s synth sound, there’s an anger but an addictive personality to their cold-hearted yet incredible songwriting. Everything else is via Bandcamp. My case for Schoolyard Heroes isn’t even funny as they reformed last year for a one-off show in the States, but have no intentions for continuing on their cult appeal since calling it quits in 2009. 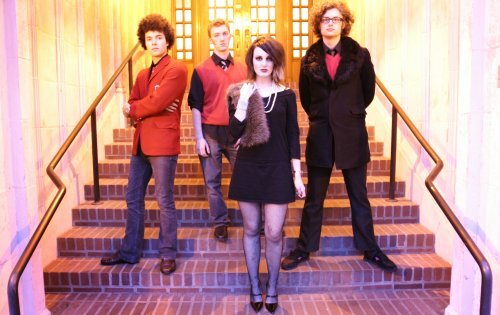 The Seattle-based fearsome foursome were one of a kind and the fever around them has grown noticeably since their split. What Schoolyard Heroes essentially did best was a punk rock horror cabaret, splicing the struggles of teenage life with B-Movies and the macabre, resulting in an all out assault that could be glamorous as it could visceral. Although with three albums to their name, all completed well within their youth, you can only feel disappointed that their infectious punk parade didn’t spread like the plague. There’s so much to enjoy from their utter delight in matters most morbid and the exact kind of fun and insanity that modern music is missing. Social media is scarce bar Facebook, but their music is readily available from most respectable music retailers. Previous to Gary McClure’s new found success in lo-fi indie rock darling American Wrestlers, he was one fourth of an incredible Mancunian troupe of musicians and producers known as Working For A Nuclear Free City. 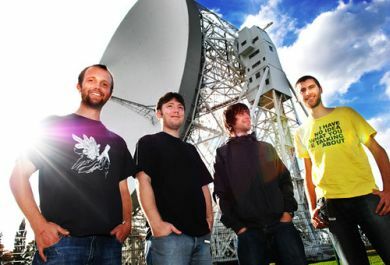 What the status of the band is currently unsure as not long ago they were on the lookout for a video editor, possibly signalling new incoming material that never arrived. Those on the insider’s circle and were aware of Working For A Nuclear Free City’s existence knew of the vast creative capacity that they housed, but they never received the full acclaim they rightfully deserved. Mining from an inexhaustible bank of inspiration and influences, they put together three (four including the now-elusive rarities) albums of some of the most eclectic music I’ve ever encountered. An under-appreciated and true original band, hopefully to return one day. Social media works for them, even though their posts are sporadic via Facebook. I had no idea this song existed until I searched out of curiosity, but go buy this via Bandcamp and for everything else, go get their music via most respectable music retailers. Also if you’re into that sort of thing, go read this interview of theirs, it’s hilarious. This is one of the saddest stories on this list for me. As a band from Reading in the UK, a seasoned music city from a national perspective, to perform for 10 years, and to have next to zero recognition for what is a seminal sound and phenomenal emotional and spirtual journey, should be punishable under the country’s justice system. This is by no means their fault however, whether victims of circumstance or the cruel realities of life, people just weren’t in tune with their explosive wave of stunning post-rock exhibitionism. How beats me. Rarely can you hear so much passion and belief agonisingly pour out of every single note and word without fail. There is never a wasted moment on the entire Lines Of Unreason album and the fact this has stayed buried in the musical graveyard is a travesty. Words do so little to give merit to how excellent this album truly is. There is a Facebook page for the band, though it is very much inactive. Their music is however available via most respectable music retailers. Boy, where do I even begin with these guys… There’s been very quiet rumblings yet incredible demand for a possible reunion for years, but no actual drive to capitalise on it since their demise in 2011. 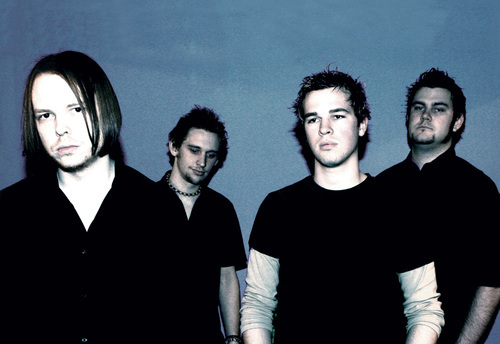 Whatever their reasons, Pure Reason Revolution were a breed unlike any others in their class. Marrying intelligent progressive rock with luscious pop harmonies that later stretched into deep electronica territory that still maintained their killer songwriting principles, the London musicians behind this monumental project rightfully gained a rabid cult following. But press tried in all their might to elevate the band to the height they deserved and shockingly, it was never reached. One day, one day, there’s a hope that they will return and their astonishing progressive masterpieces will conquer a new generation of fans. Oddly, their Facebook updates occasionally, but not with Pure Reason Revolution news. Go show support if you enjoy them anyway. Their music is available at most respectable music retailers, buy all the copies. While there is a remote hope for every band on this list to reform, chances here are far beyond impossible. Why? If you’re not familiar with the name Type O Negative, then you won’t be aware that vocalist, bassist and literal giant personality Peter Steele has been dead for five years, tragically passing away from the effects of an aortic aneurysm aged just 48. 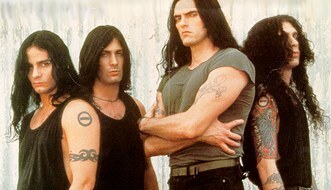 The music of Type O Negative has always had an air of severe gloom attached to it, oft with self-depreciating humour and self-loathing running through every fibre of their being, becoming synonymous with the band (they were nicknamed the ‘Drab Four,’ playing on the Beatles moniker). There’s an entire conversation for another time here which may arrive at a later date, but the long story short is, the irreplaceable black but beautiful expanding harmonies and inexplicable doom of one of goth rock’s best and beloved bands will seldom be replicated. Their Facebook updates are rare but relevant should you wish to get them, but worth showing support too. Their music as expected is also available via all respectable music retailers and the vast majority of merchandise can be obtained through their website.